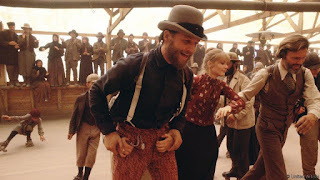 An epic and lyrical western, Heaven's Gate is nearly as bad as its catastrophic reputation. Twenty years after graduating from Harvard, James Averill (Kris Kristofferson) is the Marshal of Johnson County, Wyoming. 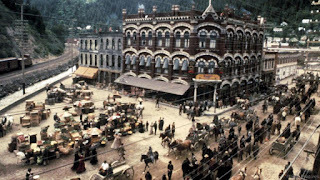 Poor European immigrants are arriving in large numbers to settle and farm the land, creating tensions with a cattlemen's Association led by Frank Canton (Sam Waterston). James' intellectual classmate from Harvard William Irvine (John Hurt) is part of Canton's entourage, but frequently drunk. In the town of Casper, a large number of men assemble, recruited as hired guns by the Association. A target list of 125 settlers is drawn up and a $50 bounty is offered on each head. Nathan Champion (Christopher Walken) is one of the gunmen, but he tries to scare off the settlers rather than kill them. He also competes with James for the attention of Ella Watson (Isabelle Huppert), the local whore and James' lover. Local businessman John L. Bridges (Jeff Bridges) allies himself with the settlers. As Canton's men start to hunt down their targets, the immigrants have to find ways to fight back and the situation escalates towards an all-out war. 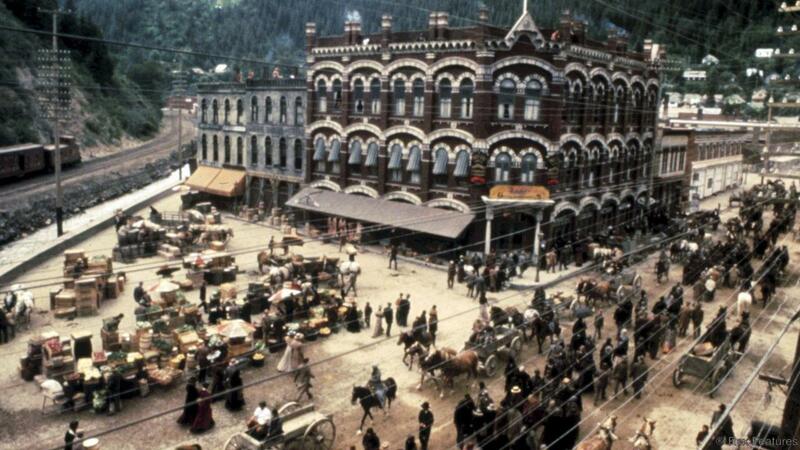 Written and directed by Michael Cimino and loosely based on the actual events of the Johnson County War, Heaven's Gate is legendary for all the wrong reasons. Four times over budget, one year late, beset by production problems including rampant animal cruelty, ridiculously long at 3 hours and 40 minutes, and ultimately a financial disaster that hastened the demise of studio United Artists, the film comprehensively ended the New Hollywood era, killing off the concept of celebrated directors having unchecked creative control. Cimino, fresh off the unexpected success of The Deer Hunter, appeared intent on out-doing Francis Ford Coppola. He exhibited ultra-egotistical on-set behaviour and seemed to measure his achievements by length of film, ending the production at 1.3 million feet (220 hours) to exceed Coppola's Apocalypse Now. The Heaven's Gate music is also clearly derived from The Godfather theme. All of which would be forgiven and excused if the final on-screen product was any good, but it's not. Heaven's Gate has perhaps 90 minutes of story and 130 minutes of insufferable bloat. Countless scenes contribute nothing to the narrative, and every scene, whether relevant or not, runs for many minutes longer than necessary. The Harvard graduation and waltz, the rollerblading dance, the endless scenes of agitated crowds, the cockfight and the epilogue are some of the more famous examples of the bilge suffocating the film. To add to the misery, despite the mammoth length the film is fundamentally lacking in any character depth or development. Averill, Champion and Ella are the three main characters, and they remain plastic creations throughout, generating no emotion or empathy, stock passengers in their own story. Kristofferson, Walken and Huppert can all be fine actors, but they drown in nothingness where time and space stand still. Plenty of deathly slow scenes come and go with barely any dialogue, the characters part of the scenery or worse, swallowed by the armies of extras. 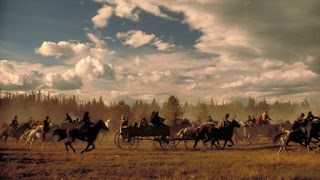 Filmed entirely on location and mostly in Montana, the film carries a sickly brown-yellow tinge throughout, taking away from the beautiful epic and rustic settings and the elaborate framing. The sound quality is frequently atrocious, with large stretches of dialogue inaudible and incomprehensible. The ill-defined immigrants speak and shout in their own language, sometimes for minutes on end, with no subtitles. The final hour does pick up as Cimino finally bears down and the conflict erupts into the open, but redemption is out of reach. Heaven's Gate is an arduous ode to unchecked self-admiration.